We provide the complete service from planning right through to giving you your new house keys. You will be able to contact your project manager at anytime throughout the project. 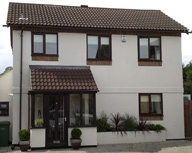 Providing Building Services to Essex and London year after year. Edenwood Carpentry and Building Services began trading over 10 years ago, our professionalism and hard work ethic has left us with hundreds of delighted domestic and commercial customers. Edenwood Carpentry and Building Services are based in Essex; we are rightly proud of the high standards we set and our companies high reputation. We ensure that all work completed is of a professional, personal and high standard ultimately ensuring our customers are happy. We pride ourselves on personal recommendations. Our fully qualified team of builders can undertake any building requirements you have now or in the future. Take a look at our testimonials and photos to see how delighted our customers have been and to look at the work we have completed. We are happy to work on any size project. Our highly friendly, reliable and highly experienced team have provided a professional building service for many years in Essex and London. Edenwood can provide you with a competitive free quotation / estimate for your building project. Edenwood’s team are highly skilled in their areas of expertise, thus giving you the professional finish you need for your project. We will not compromise on the quality of service we provide for you. Take a look at our photos to see our recent projects. Contact us by post, email or phone or use our automatic enquiry form for all your Building Services needs. At Edenwood Carpentry and Building Services we provide services to Essex so you can be assured that all work undertaken will be from our team of local skilled tradesmen. If your project is an extension, we can work with you from the initial planning stage right through to completion; our follow up will ensure you are completely satisfied with any work we undertake. Having access to trade prices we offer you advice on how to source more expensive materials at a more competitive price. Whether you require an extension, refurbishment services, a new kitchen or bathroom, a pathway, or a loft conversion, we can help you. You can be assured that we will complete any project to the highest of standards and meticulous attention to detail. Take a look at the many photos of our work and the kind words that our previous customers have said about us. We specialise in Loft conversions and If you require a loft or garage conversion, we pride ourselves on excellent design and professional workmanship with a total commitment to you and your project. Our follow up customer service is all part of our service to you.